Little Theatre of Owatonna has announced its spring comedy production of “Farce of Habit” that opens April 26th. Comic fireworks explode in “FARCE OF HABIT,” an absurdly funny Southern-fried romp that takes us to the quaint Reel ’Em Inn, a fishing lodge in the Ozarks. Proprietor, D. Gene Wilburn looks forward to a peaceful weekend on the lake. But only two chances of that happening: slim and none. Why, for example, has his wife, Wanelle, picked these three days to white-knuckle her way through caffeine withdrawal? Is his son Ty’s marriage to Jenna falling apart due to the French can-can costume Ty is wearing? Why would D. Gene’s feisty sister, Maxie, allow herself to get caught up in such a bizarre undercover police assignment? And that’s just his family. Thwarting D. Gene’s weekend plans is a gaggle of nuns converging on the Inn to experience a nature retreat revealing D. Gene’s chronic fear of anything in a habit? Add the colossal ego of Jock McNair, nationally known relationship guru who threatens everyone’s sanity; a shy retiree anxious to cut loose and embrace his “inner caveman;” throw in the storm of the century quickly bearing down on Mayhew, Arkansas, and D. Gene has no prayer of baiting a hook any time soon. Oh, and did we mention there’s an axe murderer on the loose? If you enjoy gloriously preposterous hilarity, then laughing your way through the take-no-prisoner’s lunacy of a Jones Hope Wooten comedy is one habit you’ll never want to break! ‘Farce of Habit’ is by Jessie Jones, Nicholas Hope & Jamie Wooten. The Artistic Director is Sandee Hardy-Hagen and the Technical Director is Kimberly Keck. the general public on April 13th. The LTO Box Office opens April 22nd. Adult ticket price is $17; student ticket price is $14. 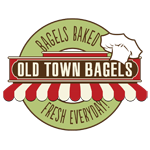 ‘Farce of Habit’ is presented with special arrangements through Dramatists Play Service and is sponsored by Old Town Bagels.